In episode 2×46 of the Bad Voltage podcast, Stuart Langridge predicts companies will finally embrace the USB-C connector in 2019. Which prompts both Jono Bacon and Jeremy Garcia to ask: “What doesn’t ship with USB-C today”? After about six minutes of discussion it becomes clear no-one seems to have any reliable data on this topic. Depending on which market segment you’re in, either all devices already use USB-C ports and connectors, or everything still comes with Micro-USB-B or something even older. As data sources I used Geizhals and Amazon.de. Geizhals is a large European price comparison website. It also powers other popular price comparison services like “heise Preisvergleich” or “hardwareLUXX Preisvergleich”. In contrast to Amazon, Geizhals does not know what people actually end up buying. It can only use the number of search queries and the “click-through rate” as an indicator for a product’s popularity. But the the results are quite reasonable. If a product is on one of Geizhals’s Top 10 lists, it is usually actually popular. Let’s look at everybody’s favorite devices: phones. 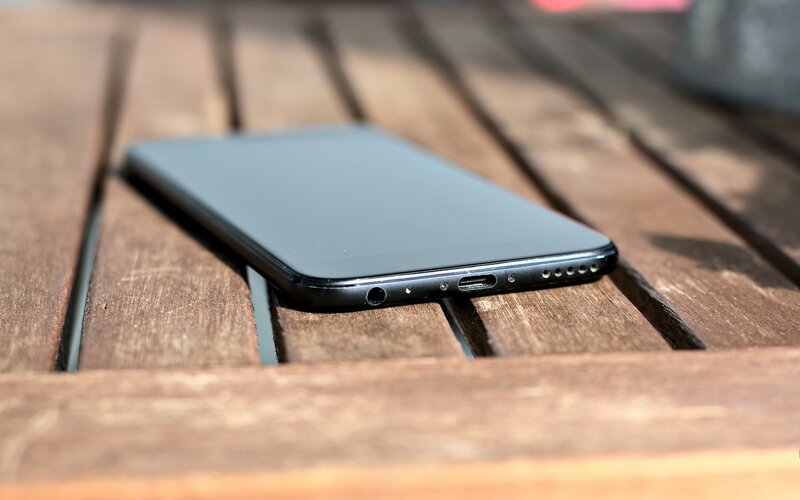 Geizhals currently has 1175 mobile phone models released in 2018 and 2019 in its database. Of these 486 have an USB-C port. That’s just 41.3 percent. If you look at 2019 alone, it’s a bit better. 82 out of 162 models released in this year (50.6 percent) have an USB-C port. That’s 14 vs. 13, or a tiny win for USB-C. I think it is clearly visible Android flagship phones are driving the adoption. But iPhones and older models keep being popular, and not all new smartphone models get USB-C by default. Xiaomi for example decided to give the highly popular Xiaomi Mi A2 Lite a Micro-USB port – despite both its predecessor (Mi A1) and “big sister” (Mi A2) already having USB-C ports. The answer to the question “Do I have to pay more to get a comparable smartphone with an USB-C port” is a clear No. The market has enough selection in all price ranges. The cheapest smartphone with an USB-C port I could find is the Innos D6000 at 85 €. All in all I think it’s fair to assume more than half of the popular phones currently being sold still don’t have an USB-C port. Smartphones have basically replaced desktops and laptops for many people. But there’s still a huge market for laptops, especially in the enterprise segment. Geizhals currently has 3380 laptop models released in 2018 and 2019 in its database. Of these, 1192 have at least one USB-C port which can do at least USB 3.0. That’s just 35.2 percent. If you look at 2019 alone, it’s hardly become better. 302 out of 818 models released in this year, 36.9 percent, have an USB-C port. That’s 14 vs. 11, not a clear win, but a win. Looking at the details it becomes clear not just the high-end segment drives the adoption, but also the mid-range. There’s a surprising number of good laptops with USB-C ports around the 600-700 Euro mark, like the Huawei MateBook D 14. But there’s a really big divide between the upper segments and the low-end. “Okayish” devices can be had for less than 400 Euros because AMD is offering cheap, good mobile CPUs with integrated GPUs again. Amazon’s Top 20 is dominated by these very cheap devices for between 200 and 300 Euros. I don’t feel comfortable making an educated guess here. The market for enterprise laptops is still big and doesn’t show up on Amazon and Geizhals. My gut feeling is that about half of the laptops sold right now will probably have at least one USB-C port. Do you have to pay more to get a comparable laptop with an USB-C port? Yes and No. Even in the lowest tier there are devices like the Lenovo Ideapad S130 and the ASUS VivoBook E12, which have USB-C ports, but they’re at least ten percent more expensive than the rest. In the mid-range and high-end tiers the USB-C ports don’t have much of an impact on the price. The market for “traditional” tablets has cooled down quite a bit. At the same time high-end offerings with detachable keyboards are now going strong in some market segments. Geizhals has 372 tablet models released in 2018 and 2019 in its database. Of these 178 have at least one USB-C port. That’s 47.9 percent. If you look at 2019 alone, USB-C dominates completely. 24 out of 29 models released in this year, 82.7 percent, have an USB-C port. It was a bit hard to make a list of the most popular models since there are just a couple of manufacturers left who ship the same models in a myriad of configurations. That’s 8 vs. 12, about 40 percent. It also shows the “rift” between the two major market segments for tablets. Normal consumers are still happy with old devices. Probably because all they are interested in is the larger screen size and not performance. The Samsung Galaxy Tab A 10.1, the Galaxy Tab S3 and the Huawei MediaPad M3 Lite 10 were introduced in 2017. The Samsung Galaxy Tab E 9.6 8GB is a 2015 model(!). There’s hardly a “mid-tier” anymore, but high-end tablets are replacing notebooks for some customers. The expensive devices, e.g. the Microsoft surface models, even transmit DisplayPort over USB-C. The low-end models will probably only be switched to USB-C when the manufacturers have to design a complete hardware-refresh for some reason. With people switching to mobile computing devices on all ends, external storage extensions have become much more important. 3.5″ magnetic drives are equally popular as 2.5″ magnetic drives, external SSD drives follow after a huge gap. The days of USB 2.0 are long gone. Even the slowest magnetic drive can sustain around 100 MByte/s, so USB 3.0 is the minimum. 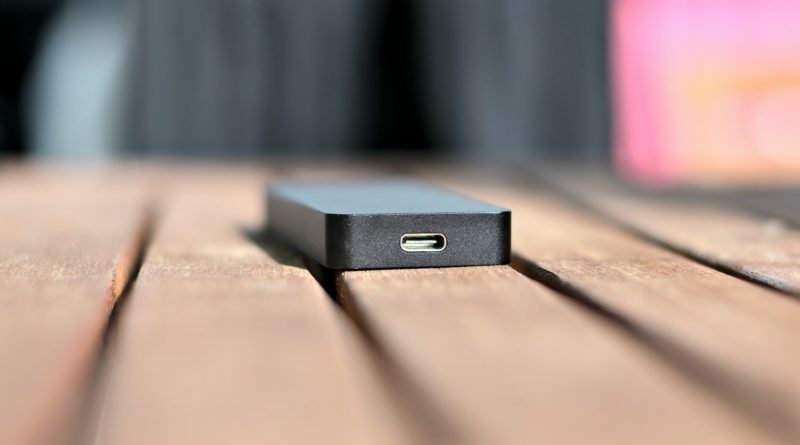 It shouldn’t come as a surprise USB-C doesn’t play any role in the market for magnetic drives. Only 16 out of 66 3.5″ models (24.2 percent) released in 2018/2019 and only 63 out of 279 2.5″ models (22.5 percent) released in the same years have an USB-C port. And these drives are not the popular ones. Only 5 of the 30 most popular 3.5″ drives (16.6 percent) and just two of the 30 most popular 2.5″ drives have an USB-C port. The reason for that is simple. Most manufacturers no longer use USB-to-SATA adapters inside the external boxes. Instead the Micro-USB-B 3.x ports became part of the actual hard drive controller board years ago. The same controller boards can still be used for higher capacity drives. Switching to USB-C instead of Micro-USB-B 3.x wouldn’t have any advantages, but cost money. With external SSDs the situation is different. 59 of the 118 drives released in 2018/2019 (50%) have an USB-C port, and these are also the popular ones. Of the 20 most popular drives, just a single one came with Micro-USB-B 3.x instead of USB-C. That’s because external SSDs drives came to market much later, require higher throughputs and are much more expensive. There was no point in not going with USB-C.
Do you have to spend more money for the same drive if you want an USB-C port? For magnetic drives the answer is an absolute Yes, for SSDs it’s an absolute No. I didn’t spend as much time on these other categories, but here’s the data. Of 526 external monitors released in 2018/2019, just 52 (10 percent) accept graphics input via USB-C/DisplayPort. Only a single one of these (Samsung C34H892) was among the actually popular devices. Only 11 of the 526 monitors (two percent) had an internal USB hub with additional USB-C ports, not a single one of these was on the list of popular devices. Even the mentioned Samsung C34H892 doesn’t have additional USB-C ports (genius!). There are zero laser/inkjet printers or flatbed scanners with USB-C ports. A huge number of shops therefore offers special “USB-C to USB-B printer cables” for Macbook users. Of the 224 computer mice released in 2018/2019, only four have USB-C ports. There are only two wireless mice with USB-C receivers (DeLock Wireless USB-C Mini Maus, LogiLink Wireless USB-C Mouse) on the whole market. If you e.g. have a Macbook and are unhappy with Bluetooth mice because of lag etc., you are better off buying an USB-C Hub with USB-A ports. Surprisingly there are several cheap external Gigabit Ethernet adapters with USB-C connectors. Amazon even sells one under its AmazonBasics brand for just 13,99 Euros. Surprisingly there are several cheap USB-C car chargers which support USB Power Delivery up to 45 watts, like this one by Nillkin.